Was tun bei Abmahnungen? Wann darf man Fotos anderer Personen bei Facebook hochladen? Wie legal sind Filehoster? Was tut man gegen Cybermobbing? Die Broschüre „Spielregeln im Internet – Durchblicken im Rechtedschungel ” von iRights.info und klicksafe.de behandelt diese und weitere Rechtsfragen im Netz. Jetzt ist sie in der dritten Auflage wieder erhältlich. Die Broschüre richtet sich an alle Netznutzerinnen und -nutzer, vor allem aber auch an Eltern, Lehrer, Pädagogen und andere Multiplikatoren. Die vergriffene Printfassung kann bei klicksafe.de wieder bestellt werden – bis zu fünf Exemplare gibt es kostenlos. Die PDF-Version gibt es weiterhin hier und bei klicksafe.de zum Download. Paris, 30 janvier 2012 – La Commission européenne a lancé une offensive tous azimuts pour présenter ACTA comme un banal accord commercial, inoffensif pour les droits fondamentaux et l'accès aux savoirs. Dans plusieurs documents, la Commission tente d'imposer l'ACTA au Parlement européen en balayant les critiques légitimes qui s'expriment à son encontre. Mais ces tromperies ne résistent pas à l'analyse. Alors que la branche exécutive de l'UE (Commission européenne et les gouvernements de 22 États Membres) a officiellement signé ACTA1, la voie est ouverte à son examen par le Parlement européen. Ses 754 membres ont au cours d'un processus qui durera plusieurs mois, l'occasion d'accepter ou de rejeter ACTA. Les membres du Parlement européen sont déjà soumis à de fortes pressions, non seulement des lobbyistes des industries du copyright mais aussi de la direction « commerce international » de la Commission européenne2 qui a négocié l'ACTA en toute opacité durant plus de trois ans. Les citoyens doivent contacter les membres du Parlement européen et dénoncer les mensonges révoltants de la Commission, afin de s'assurer que les valeurs démocratiques de l'UE soient respectées. Les eurodéputés doivent s'engager à travailler en commission parlementaire afin d'obtenir le rejet de l'ACTA. « La Commission européenne ment éhontément aux eurodéputés en présentant ACTA comme un accord acceptable. En signant ACTA avec les États Membres de l'UE, la Commission européene a fait fi des critiques légitimes de milliers de citoyens européens qui ont manifesté ces derniers jours contre ACTA. Les citoyens doivent contacter leurs élus pour rétablir la vérité : ACTA est un contournement de la démocratie et attaque les libertés pour tenter de protéger les modèles économiques dépassés d'industries de rentes. » déclare Jérémie Zimmermann, porte-parole de La Quadrature du Net. ACTA is the inspiration for SOPA/PIPA in the US. 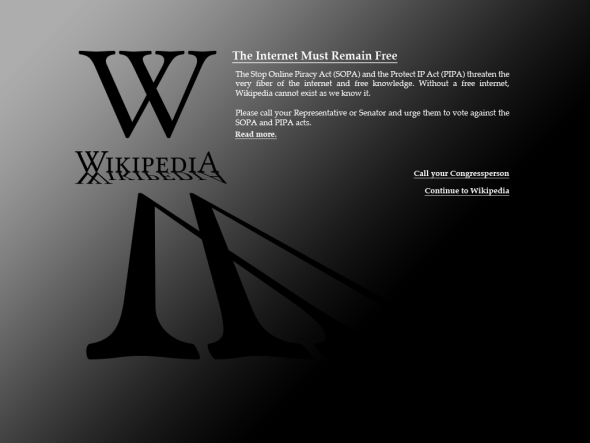 While SOPA may have been put aside for a moment, ACTA is a global agreement negotiated outside of democratic arenas and meant to be imposed globally. 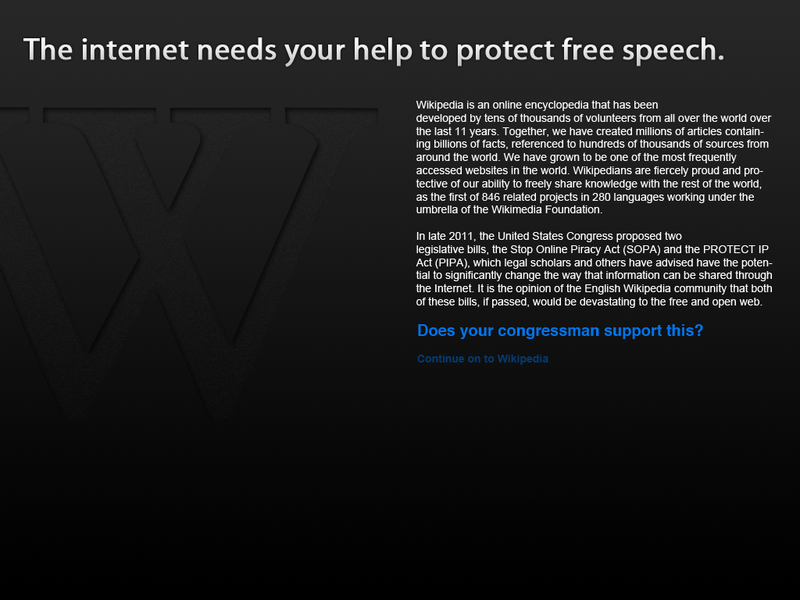 Moreover, if SOPA were to be adopted, the US Congress could amend or abrogate it. ACTA will prevent the EU and its Member States as well as other signatories to change their copyright and patent laws, and to fix their broken and brutal enforcement policies to adapt to the new economy of sharing. If ACTA is adopted, it will be possible for the entertainment industry to exert pressure on every Internet actor under threat of criminal sanctions (art.23). Intermediaries will thus be forced to deploy (art.27) automated blocking, filtering of communications and deletion of content online. Such measures will inevitably restrict users' freedoms online. ACTA's call for “cooperation” between rights-holders and Internet service providers is also advocated by the European Commission as “extra-judicial measures” and “alternative to courts”. This means that police (surveillance and collection of evidence) and justice missions (penalties) could be handed out to private actors, bypassing judicial authority and the right to a fair trial. By defending this SOPA-style policy in ACTA, the Commission is paving the way for the copyright industries' enforcement agenda, preventing any true debate on alternative to repression. This fits with the announced revision of the IPRED and eCommerce directives. 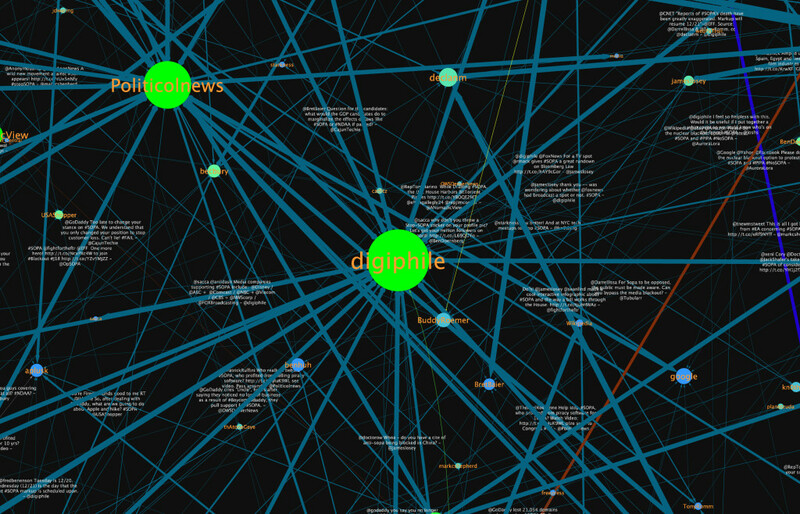 See also La Quadrature's analysis of the final text of ACTA's digital chapter. 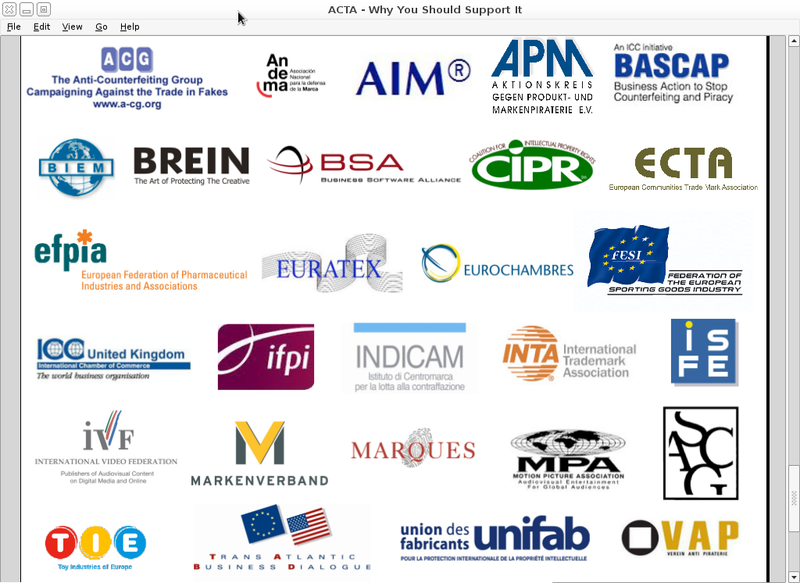 In a document published on its website and circulating in the EU Parliament, the Commission conveys more lies about ACTA. You can download the following analysis in PDF3. ACTA is a direct by-product of the lobbying offensive launched in 2004 by the International Chamber of Commerce, presided by the then CEO of Vivendi-Universal Jean-René Fourtou, whose wife acted as EU Parliament rapporteur for the IPR Enforcement Directive (IPRED) adopted the same year. It is one of the worst examples of private interests taking over policy-making. ACTA may have been negotiated like other trade agreements, but it is not just a trade agreement on tariffs. Instead, ACTA generalizes extreme civil sanctions and broadens the scope of criminal sanctions. Binding the EU to such outdated models, and deploying schemes that can be used as anti-competitve weapons will only hamper innovation, competition and growth. Not only in the digital economy, but in many fields which rely on the free sharing of knowledge, from agriculture to healthcare. There was never any impact assessment on the need for such an plurilateral agreement. The Commission never proved that tougher enforcement standards worldwide would actually benefit the EU's public interest, much less the rest of the world's. Instead of imposing ACTA to developing countries, the EU should urgently look at the broader consequences of its current policies (EUCD, IPRED) on innovation, access to culture and fundamental rights, and reform these policies to lay the foundation of a true knowledge-based economy. Contrary to the Commission's claims, transparency on ACTA was only made possible after negotiation documents were leaked by insiders worried of ACTA's consequences. These leaks forced the negotiators to release negotiation texts in the Spring of 2010, more than 3 years after the beginning of the negotiations. The negotiation and implementation of ACTA bypasses legitimate international organizations (WTO, WIPO) where copyright, patent and trademarks policy are discussed. This is all the more unacceptable considering that a growing number of countries understand the importance of reforming these policies by breaking away from blind repression. Safeguards in the text are purely generic and declarative, mostly in the general parts of the agreement, where enforcement provisions, generally vaguely worded, are binding to signatories. For instance, a study by legal professors Kroff and Brown stresses that ACTA “overall significantly strengthens enforcement measures (especially criminal law ones), without any of the safeguards and exceptions needed to ensure a balance of interests between right holders and parties”. The Commission says ACTA does not go further than the EU acquis, but leading EU legal scholars have made clear that on important points it does: in particular on criminal measures, for which there is no EU acquis, and on border measures and damages. The letter of ACTA may not be contrary to the eCommerce directive, EUCD or IPRED, but strengthens them and prevents EU lawmakers from amending them on crucial points. The overall logic of ACTA's digital chapter paves the way for extra-judicial measures, similar to those of SOPA and PIPA, whereby rights holders and ISPs or financial service providers would “cooperate” to take “measures” against alleged infringements that could only amount to censorship mechanisms, bypassing due process and the right to a fair trial. This reading is comforted by the criminal sanctions provided for “aiding and abetting” infringements (art. 23.4). Such concerns are also accentuated by the EU Commission's IPR strategy and the current overhaul of the IPRED and eCommerce directive. ACTA modifies the scope of criminal sanctions in EU Member States, ensuring they will be applied for cases of infringement on a “commercial scale”, defined as “direct or indirect economic or commercial advantage” (art. 23.1). This term is vague, open to interpretation, and just plainly wrong when it comes to determining the scope of proportionate enforcement, as it does not make any distinction between commercial and non-profit infringement. Widespread social practices, like not-for-profit file-sharing between individuals, as well as editing a successful information website or distributing innovative technological tools, could be interpreted as “commercial scale”. By extending the scope of criminal sanctions for “aiding and abetting” to such “infringement on a commercial scale”, ACTA will create legal tools threatening any actor of the Internet. Access, service or hosting providers will therefore suffer from massive legal uncertainty, making them vulnerable to litigation by the entertainment industries. The Presidency of the Council of the EU (representing the 27 Member States governments) had to negotiate ACTA in conjunction with the Commission. The Presidency negotiated the “criminal sanction” chapter of ACTA, which could not be negotiated by the Commission as criminal law is part of Member States' competencies. This illustrates that there is no EU acquis on criminal sanctions and proves that ACTA does change EU law. Beyond broadening the scope of copyright, patent and trademarks enforcement, ACTA establishes new procedural rules favouring the entertainment industries. These procedures will have a dramatic chilling effect on potential innovators and creators, especially considering ACTA's insane damage provisions (during a trial, right holders will be able to submit their preferred form of damage computation, see art. 9.1). In the future, ACTA's scope could also be easily expanded through the “ACTA committee”. The latter will have authority to interpret and modify the agreement after it has been ratified, and propose amendments. Such a parallel legislative process, which amounts to signing a blank check to the ACTA negotiators, would create a precedent to durably bypassing parliaments in crucial policy-making, and is unacceptable in a democracy. This alone should justify that ACTA be rejected. China, Russia, India and Brazil, countries where most of counterfeiting is produced, are not part of ACTA, and have stated publicly that they will never be. 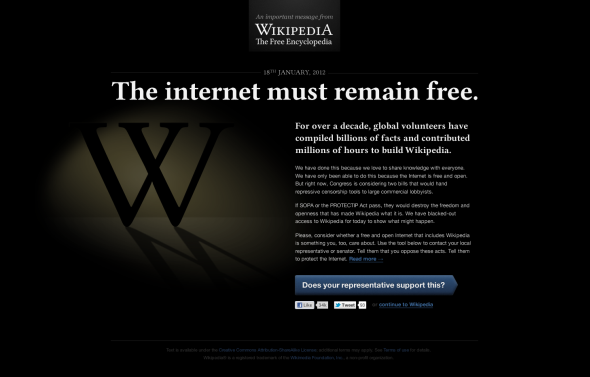 Considering the widespread opposition to ACTA, the agreement has lost any legitimacy on the international stage. Again, the Commission has not even proved the need for new enforcement measures nor that existing TRIPS measures are not enough. The Commission keeps stepping up repression, when in many instances counterfeiting is at its core a market failure due to the inadequacy of IPR holders' business models and contracts. At the same time, no EU Commission initiative exists to take a positive approach on discussing new financing models for the culture economy fit for the digital environment. Geographical indications – a key point for Europe's small businesses and cultural heritage – are mostly excluded from ACTA. The few references to geographical indications in ACTA will have no or very little effect on third countries' national law. Get in touch with Members of the EU parliament and make sure they know what ACTA is really about. Visit our our dedicated campaign page. FFII has also drafted a detailed response to another EU Commission document on ACTA called “10 myths about ACTA”. 2. La direction générale du « commerce international » et son commissaire, Karel De Gucht, sont responsables d'ACTA au sein de la Commission. If you haven't heard much about ACTA, don't be surprised. You see, you really weren't supposed to hear anything about ACTA until well after it was ratified and far too late for the rabble to do anything about it. That's what, in large part, led to Arif's resignation. As Wayne Rash wrote earlier this week, "ACTA is, in effect, a treaty, negotiated in secret by the U.S. Trade Representative, Ron Kirk... Until recently, the actual text of ACTA was so secret that only a few lawyers outside of the White House and the USTR offices had actually seen it. And those people were required to sign non-disclosure agreements." 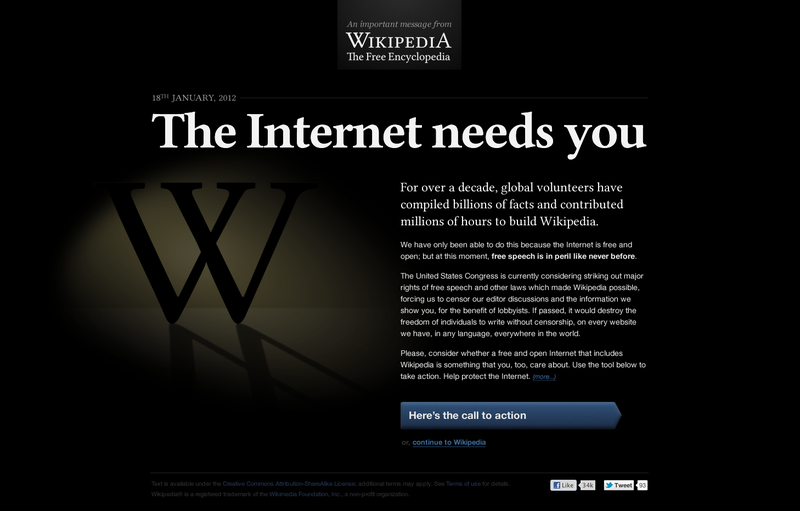 The goal of ACTA, says the Electronic Frontier Foundation (EFF) is "to create a new standard of intellectual property enforcement above the current internationally-agreed standards in the TRIPs Agreement and increased international cooperation including sharing of information between signatory countries' law enforcement agencies." The EFF backgrounder also provides some insight to ACTA. While President Obama is carrying the torch for ACTA right now, the treaty goes back to October 2007 (or farther) when the U.S., Japan, Switzerland and the European Community said they'd be working on a new intellectual property enforcement treaty. ACTA isn't the only area where (as the EFF puts it) "copyright industry rightsholder groups have sought stronger powers to enforce their intellectual property rights... to preserve their business models." But it is getting closer to reality. Note that our own Scott Fulton observes that some of the protests against ACTA object to provisions that have been removed from the treaty. What this doesn't note is that many other objectionable provisions remain. Fulton also says "you can't be arrested for an ACTA violation." This is true, but only half the story. People can and will be arrested for violations of laws that result from nations complying with the treaty. The word is that ACTA probably doesn't change U.S. law. Probably? Nobody's entirely sure. But as Techdirt calls out "it certainly does function to lock in US law, in a rapidly changing area of law, where specifics are far from settled." It also, of course, serves to dictate compliance in other countries. 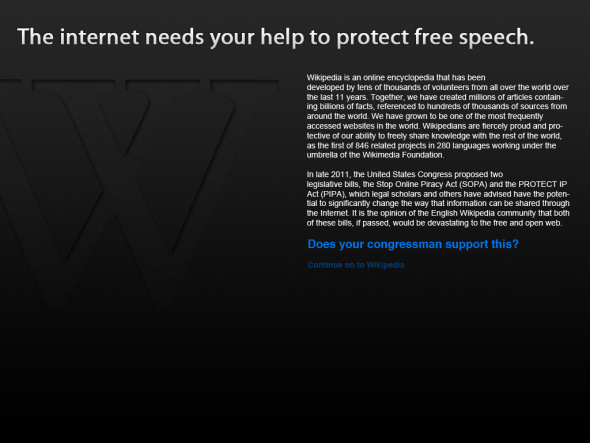 ACTA was negotiated in secret – For me, this is reason enough to oppose any legislation or regulation. I don't care if it's the "Hugs for Puppies and Kittens Act," if people aren't given an opportunity to engage with their lawmakers about a law, it shouldn't be enacted. Ridiculous damages – ACTA specifies "presumptions for determining damages" that basically assume that all of the infringed goods had sold. To put it another way, ACTA takes the position that if a user uploads a song to a file-sharing network, damages should be calculated as if the recipients would have paid for the work in question. This is ridiculous, as has been explained any number of places. Many people who download illicit copies would simply never have purchased the work in question had it not been available for free. It may be unconstitutional – The Obama administration is claiming that ACTA not a treaty, but an "executive agreement" and thus not subject to legislative approval. As Rash notes in his eWeek piece, Congress does not agree. 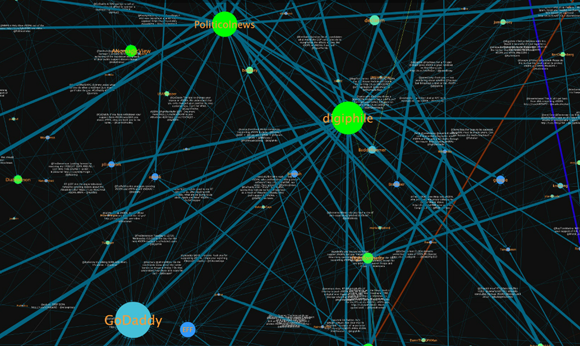 It's over-broad – It's worth noting that not all of ACTA is necessarily bad. Some of the agreement is targeted at countering counterfeit goods that may be actively harmful, like counterfeit prescription drugs. But ACTA goes well beyond single areas of intellectual property and essentially tries to bear-hug everything IP-related. Not good. The ACTA committee is not accountable – ACTA creates a body outside of national and even international bodies, called the "ACTA Committee." (At least the name is honest.) The committee would not be accountable to the people governed by the agreement. Folks in the United States can vote out Lamar Smith and others who endorsed SOPA/PIPA, but we would have no real influence on the ACTA Committee. Low threshhold for violations – As the European Digital Rights group points out (PDF), ACTA's unclear wording would make it very easy for unintentional copyright infringement to rise to the level of a criminal act. No fair use provisions – As this opinion on ACTA by Eddan Katz and Gwen Hinze notes, ACTA would "export one half of the complex U.S. legal regime" but "without accompanying exceptions and limitations." In short, ACTA would not include fair use provisions and such that we expect in the U.S.
Criminalizes what used to be a civil offense – An opinion prepared by Douwe Korff and Ian Brown notes, "ordinary companies and individuals could be criminalised for innocent activities or trivial breaches of copyright, or for technical breaches that serve a wider, overriding public interest (as in whistleblowing), without an appropriate defence." The EFF says "If the real intent behind introducing expanded criminal sanctions is to address infringement on the Internet, this provision is not likely to do so, but is likely to cause significant collateral harm to consumers." Locks In DMCA-Like Provisions – As the EFF notes (PDF) in its submission to the USTR, ACTA would "lock in" some of the controversial aspects of the DMCA that require legal enforcement against circumventing copy protection, etc. In other words, don't get too set on the idea of jailbreaking that iPhone. ACTA could be used against legitimate medications – As I noted earlier, looking to crack down on counterfeit drugs is good. Going after legitimate "grey market" drugs, that's another story. Yet as Techdirt notes "there are very reasonable concerns that ACTA will be used to crack down, not on actual counterfeit medicines, but on "grey market" drugs – generic, but legal, copies of medicines. Some European nations, for example, already have a history of seizing shipments of perfectly legal generic drugs in passage to somewhere else." That's 10, but I'm sure there are more. 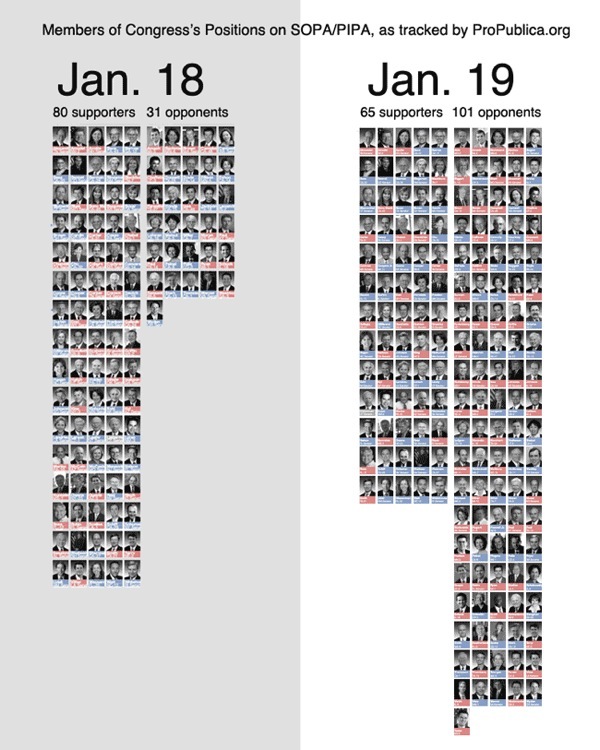 As I wrote on January 18th, sending SOPA/PIPA to the legislative trashbin for the year is great, but not enough. SOPA/PIPA are not the only laws that threaten the free and open Internet. There's plenty of bad policy to go around at the state, national and international levels. One round of annoyed phone calls to Congress is not going to do the trick. 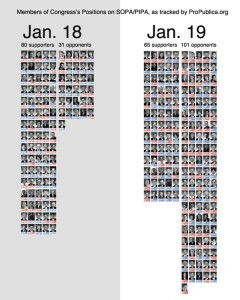 Even if it's too late to stop ACTA, there's even worse coming.